I had the opportunity to attend a talk by Ms Yu-Chi Cheng in June 2018. She expounded on how Lingzhi works to prevent and protect against the main cause of many diseases in the modern world nowadays - which is chronic inflammation. Dietitian of Double Crane Enterprise, Taiwan. Bachelor or Science, China Medical University Department of Nutrition, Taiwan. Master of Science, Taipei Medical University School of Nutrition and Health Sciences. Specialist Dietitian of Renal Nutrition. Senior Professional and Technical Certified Dietitian. Where do many of the diseases in our body come from? It starts from chronic inflammation in our body. It is found that Lingzhi can effectively counter many types of inflammatory situation and thus provides an excellent single solution for many diseases, from head to toe. There are 2 factors that we cannot control - Ageing and Genetics. They will create situations of chronic inflammation and diseases eventually. There are many other factors that we can control which also create chronic inflammation - Dietary habit, Lifestyle habits, late Sleeping habits, Pressure and Pollution. (i) On body surface - redness, swelling, heat and pain. (ii) Inside the body - depletion of energy, accelerated ageing process of body cells, mutation into cancer cells. Long term disregard of the symptoms may lead to serious consequences - a minor cut / trauma on the skin service may eventually lead to tissue necrosis when the inflammation spreads. 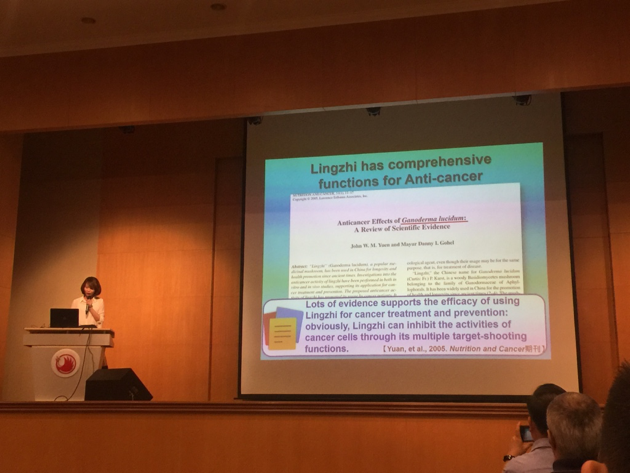 In this instance, Lingzhi's ability to handle these inflammatory situations is very good and thus presents a multi-functional solution for most diseases. In fact, in the conditions of our body between the state of Health (20% of world population) and Illness (5% of world population), there is a very huge number of world population in the category called Pre-Illness (75%). If you are already authorised, please click on this link.